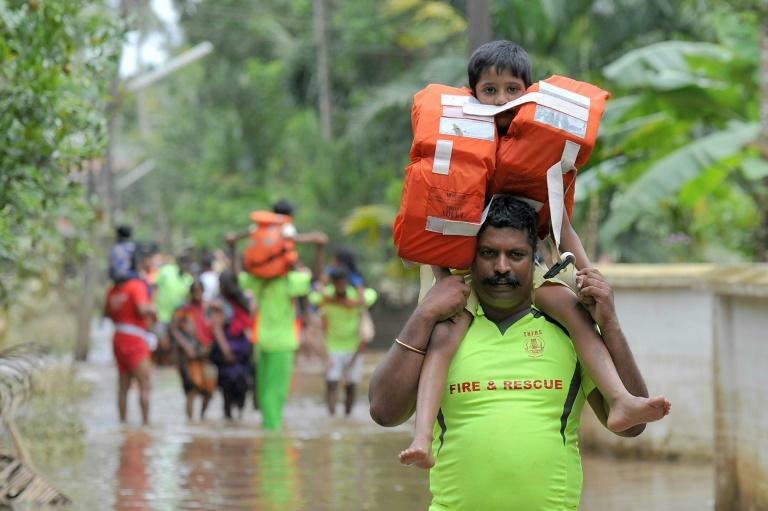 More than one million people have swarmed relief camps in India's Kerala state to escape devastating monsoon floods that have killed about 420 people, officials said Tuesday as a huge international aid offers poured in. The state government said 1,028,000 people are now in about 3,200 relief camps across the southern state. 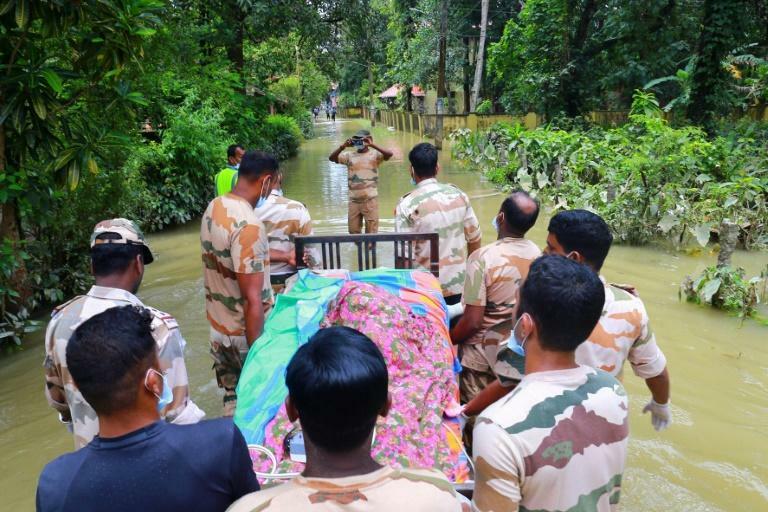 Officials said at least eight more bodies were recovered Tuesday taking the death toll to some 420 since the monsoon started in June. Keralan authorities say they are desperate for funds and the United Arab Emirates on Tuesday promised $100 million in aid, chief minister Pinarayi Vijayan announced after telephone talks with UAE leaders. The amount is more than the $97 million so far promised by India's central government. Vijayan asked for a $375 million package from the government, saying the state must confront more than $3 billion in devastation. 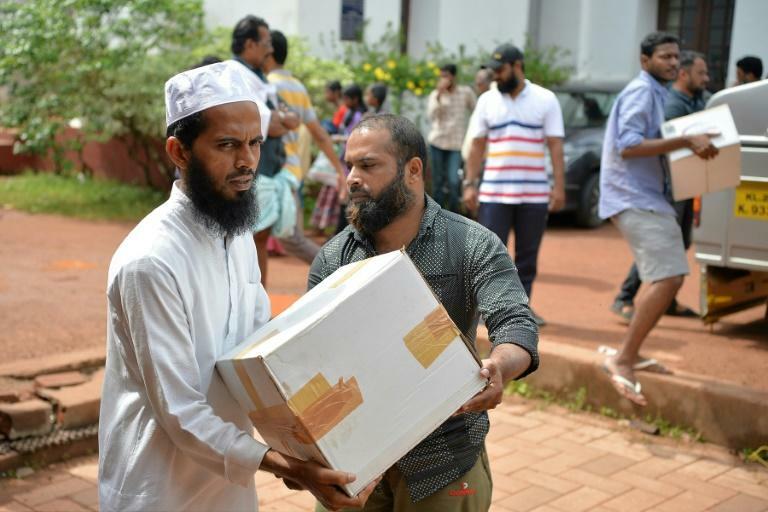 Millions of dollars in donations have poured into Kerala from the rest of India and abroad in recent days. Other state governments have promised more than $50 million while Mukesh Ambani -- Asia's richest man according to Forbes -- gave $10 million through his Reliance Industries group. Buddhist spiritual leader the Dalai Lama sent $15,000, according to the Kerala government and even India's Supreme Court judges have donated $360 each. The British-based Sikh group Khalsa Aid International has set up its own relief camp in Kochi, Kerala's main city, to provide meals for 3,000 people a day. "Around 26 people moved into the first floor of our home" to take refuge, he said. "My daughter is safe -- and that is all that matters," Joseph told AFP. She was on duty in Punjab when her parents' house, where her daughter was staying, was inundated last week. "I lost all contact with them for around four days and literally had to make an appeal on Facebook for any update," she added. "I can talk about it now but they were the most anxious hours. I was strong but broke when I heard my daughter was crying for milk and water at the time," Joseph added. Shashi Tharoor, a deputy from Kerala and former UN official, estimated that 50,000 houses had been destroyed.